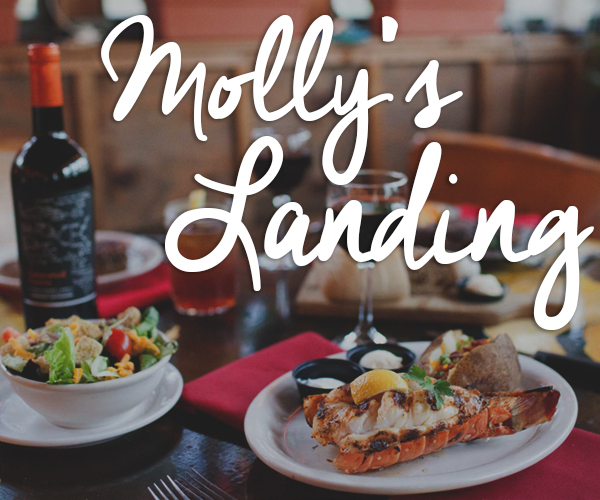 As if we need one more reason to love the fun, vibrant south Tulsa hotspot of 91st and Yale, McNellie’s dining group has given us yet another great excuse. 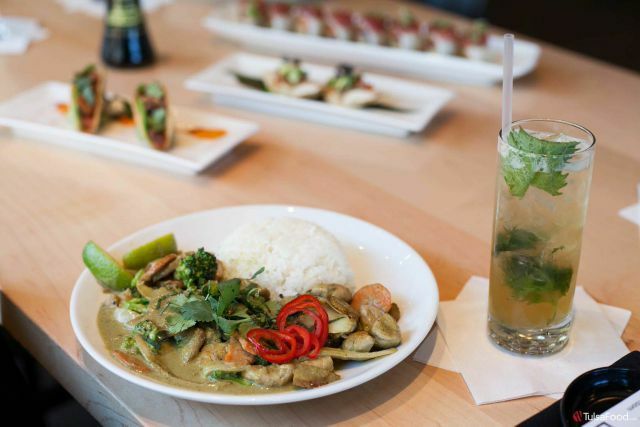 Welcome to Yokozuna Southside, a bright, modern culinary destination that offers something for everyone seeking a slice of Asian fusion. For those of you who haven’t visited the sister Yokozuna location downtown, you are truly missing out. The restaurant has become a mainstay for fresh lunch fare, delicious dinner delights and late night sushi and sake dates. Gratefully, for Tulsa folks looking for the same great fusion and familiarity when dining down south, Yokozuna Southside is ready to host you. From their outdoor seating in the patio dining space to the private meeting room with small group-friendly vibes, the south location is perfectly positioned to provide Tulsa with an entertaining yet refined atmosphere. With clean colors, an engaging floor plan, and a partially open kitchen, Yoko Southside is sophisticated enough for a business lunch or spacious and diverse enough to join the family for dinner. 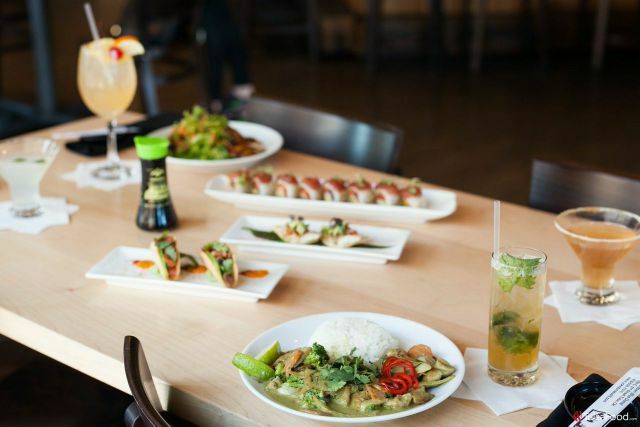 Aside from the complete selection of well-crafted sushi, Yokozuna’s entree menu offers something for everyone in the party. I for one am a lover of all things Asian cuisine. Even though I was a little late to jump on the sushi bandwagon, and didn’t actually try it until the ripe old age of 21 (I know…it’s sad) I’ve more than made up for it over the last decade, and was committed to introducing the lovely seaweed wrapped treasures to all my children before they got out of the highchair! 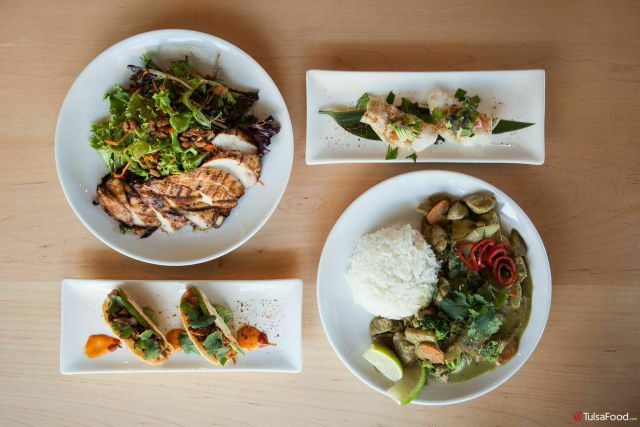 Call me silly, but I could indulge in the clean flavors of Asian fare every single day of the week. Perhaps I’m just captivated by the symbolism of their language, or am altogether taken by their pristine way of crafting dishes. 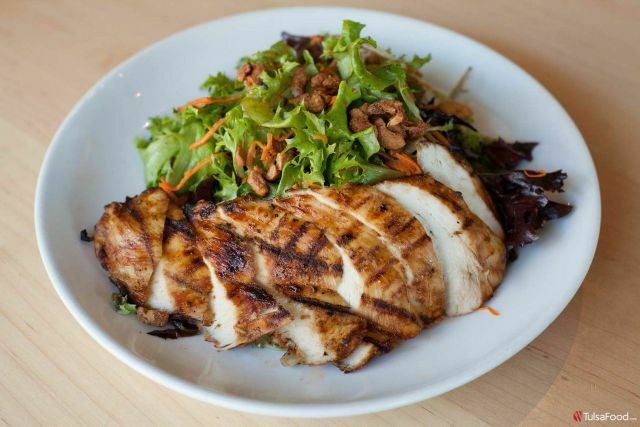 Or maybe it’s the umami’s fault, but something always keeps me coming back for more. Lucky for me, there are fantastic eateries like Yokozuna to help me get my fix. My friends and I had a chance to sit down and enjoy an eclectic spread of selections from their appetizer, sushi and beverage menu. 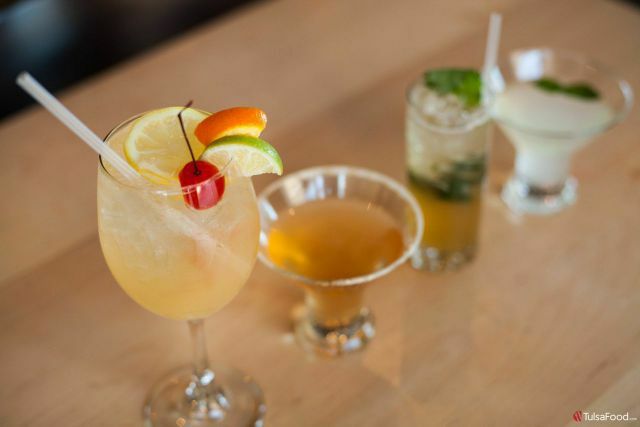 First we sampled some of the most interesting cocktail creations Yokozuna has to offer. Up first: The Ginger Spice. Ginger Spice has 10 Cane Rum, Bacardi Oakheart, lemon juice, bitters, ginger simple syrup, a candied ginger rim and everything nice! It’s a perfect and delicate cocktail that has all the character you’d expect from a girl named Ginger, and leaves the mouth clean and the palate refreshed. Next was the Kafir Lime Daiquiri. This drink mixes a beautiful combination of Cana Brava Rum with muddled kafir lime leaves, simple syrup and fresh limejuice. It’s smooth, tart and has a super clean finish. It’s the perfect adult limeade. And finally, my personal favorite, The Catalina Wine Mixer. This sassy, Asian-style sangria is made with fresh fruit, ginger, and your choice of white, red, or sparkling wine. It has a fresh, floral taste, and its colors evoke a romantic sunset on the beach. If you like fizzy, fruity, feminine, sparkling drinks served over the rocks, you’ll love this. Another favorite was the Japanese Julep. It’s a mock of the traditional julep concept, made with a combination of Hibiki Japanese whiskey (Japanese whisky is some of the most interesting whiskey in the world), muddled shiso (an Asian culinary herb from the mint family), lemongrass, ginger simple syrup and soda. It’s strong, refreshing, effervescent, herbal and interesting. 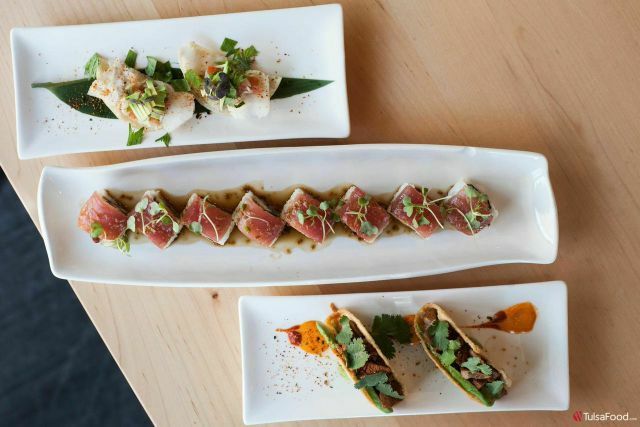 When it comes to appetizers, Yoko south has its head in the game. 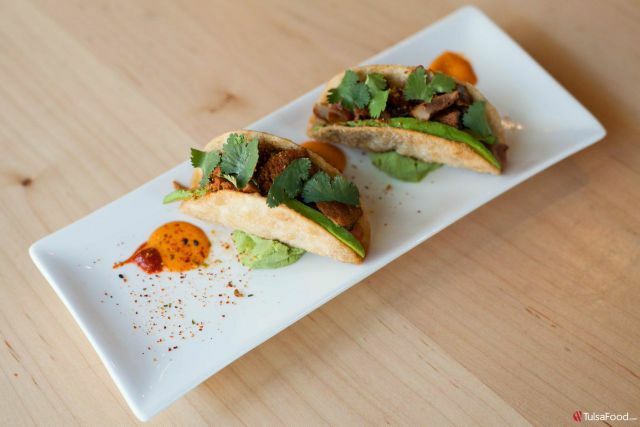 We sampled two snazzy dishes that teased our taste buds and left us wanting more. Up first were the Blackened Tuna Poki Tacos. Made with sushi grade tuna pieces flavored with Chili ponzu, avocado, pico de gallo, cilantro, and shichimi peppers, they were light, refreshing, and full of flavor. It was a spicy yet savory taste, and the crispy shells provided a wonderful crunch and texture to the soft and creamy tuna. Next we tried the Fluke Ceviche. Now I have to confess, this was my first fluke experience. In all my culinary travels thus far, I’d never tried fluke. If you’re in the same boat as me, make sure this fluke dish is your virgin experience. The fluke was marinated in shiso and served with pico, avocado, ponzu and wonton crisps. It was absolutely the perfect little treat, and represented the essence of the restaurant in one single bite. For the entree portion of the meal, we ordered an eclectic mixture of dishes and sushi. My friend wanted to try the Thai Green Curry. Being a lover of spice and developed spice flavor, this was an easy dish to love. Made with spicy coconut curry, broccoli, carrots, snow peas and diced potatoes, this traditional curry selection was a great tribute to the dishes of India. 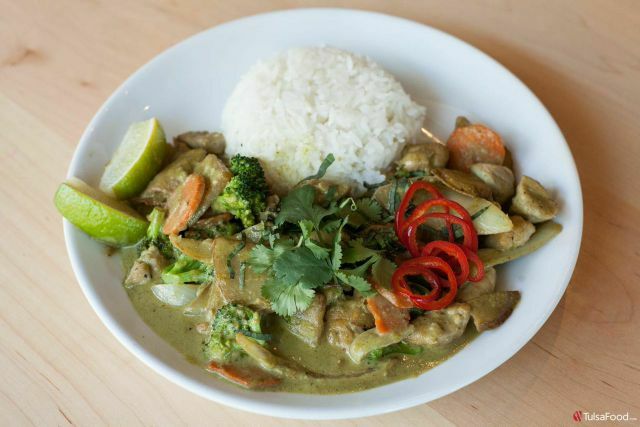 It’s served with jasmine rice and garnished with basil, cilantro, Fresno peppers and lime. Guests can add tofu, shrimp, beef, or chicken. 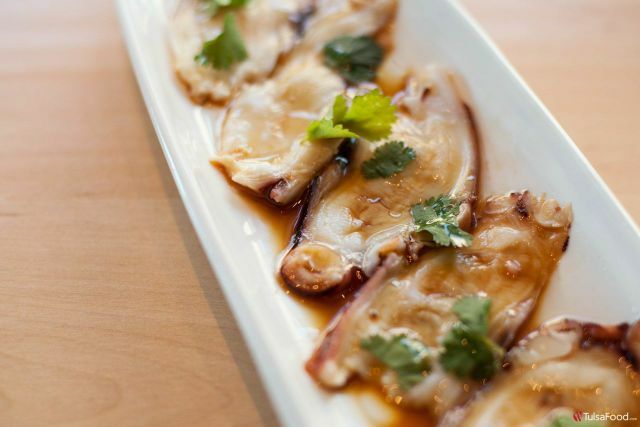 At the recommendation of the manager, we also ordered the Octopus Carpaccio, served with garlic infused grape seed oil, yuzu, soy and cilantro. This dish ended up being my pick of the evening! 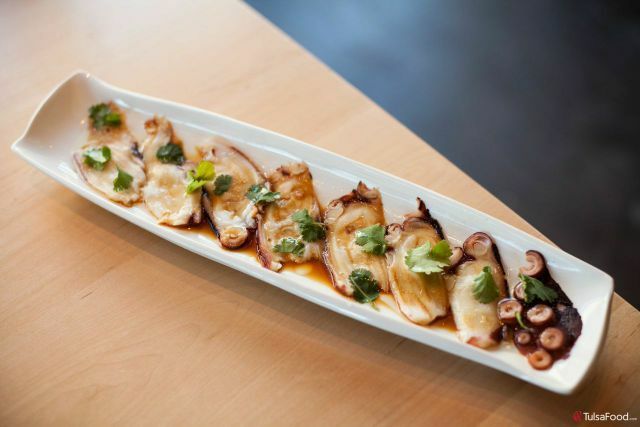 If you are an octopus fan of any kind or if you are looking for a new adventure, give this dish a try. It was exquisite! 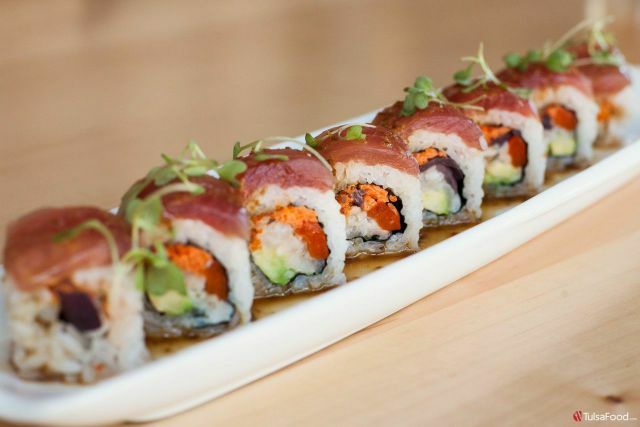 Now, to come to Yokozuna Southside and not have a couple of sushi rolls would be an unforgivable crime. So in order to stay out of the trouble, we finished the menu tasting with two of their popular rolls. The first was the Nutty Thai Professor. 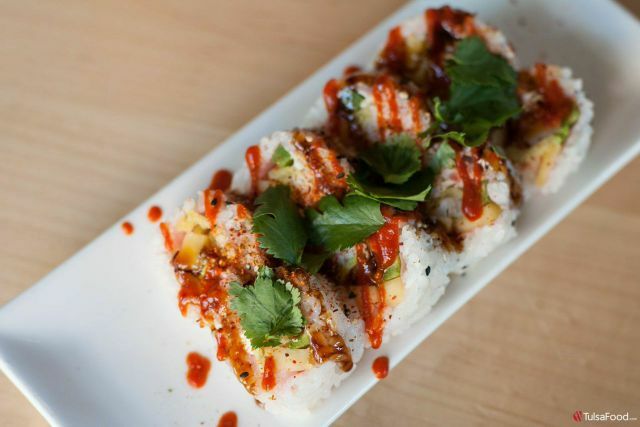 Known for its tasteful fusion of the unusual, the nutty professor roll has coconut shrimp, cream cheese, peanut butter, jalapenoño, mango and avocado in soy paper with sesame seeds, and is topped with sriracha, eel sauce and cilantro. The roll is every bit as fun and crazy as it sounds but is pleasing and satisfying all the same. The final dish and my favorite roll of the tasting was the Senshi Roll. 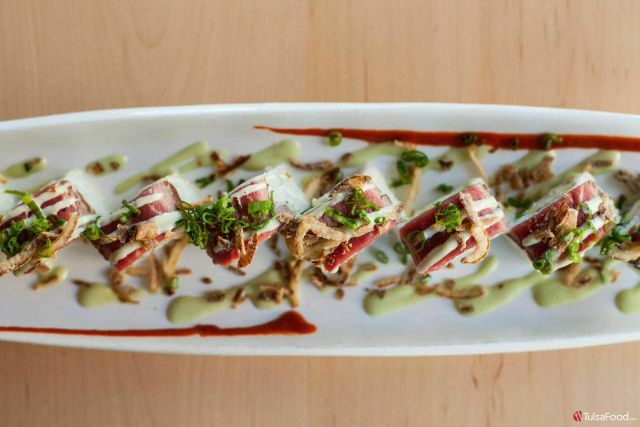 This creation features imitation crab, asparagus, jalapeño and tempura shrimp, topped with seared beef tenderloin, scallions, fried shallots and wasabi mayo. Now, I live and work in Osage county, a county to which the Oklahoma beef scene is part and parcel. Needless to say, this roll was right up my alley. I could have eaten ten of them. It was delicious and a nice break from the typical fish-based sushi rolls. I recommend Yokozuna Southside for anyone looking for a fun atmosphere to enjoy Asian fusion and fantastic sushi. The space is kid friendly but also offers privacy for a special dinner in their metro loft, or a date in their larger-than-life, tower-style bar. And on nice days, pull up a chair amidst their outdoor seating. I’ll be heading back soon to enjoy the warm hospitality, and the bright, colorful dishes that make Yokozuna Southside one of a kind.